The name Lough Derg refers to a lake that surrounds two large islands in northwest Ireland, not far from the border between the Republic and Northern Ireland. The islands, Saints’ Island and Station Island, have been sites of pilgrimage since at least the early 12th century, and the home of Irish monks for six centuries before that. There, in a form not much changed in centuries, pilgrims still travel to “Saint Patrick’s Purgatory” on Station Island for a physically grueling routine of prayer, fasting and sleep deprivation that many describe as leaving them feeling “stripped away” or “broken,” even as they say that afterwards — a day or even months later, it leads them to feel equally “renewed” by the experience. 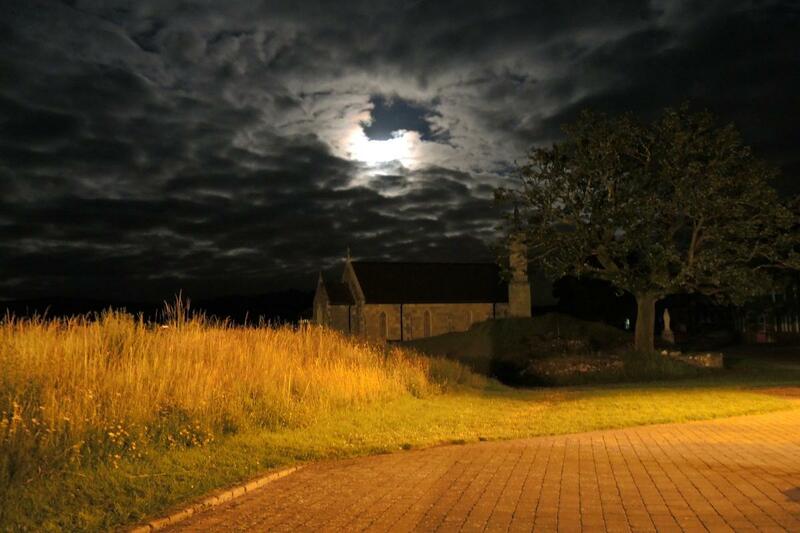 The form of the retreats at Lough Derg taps into a morally rigorous strain of Christianity that runs deep in Irish religious culture, even if it is only one pole of that culture. 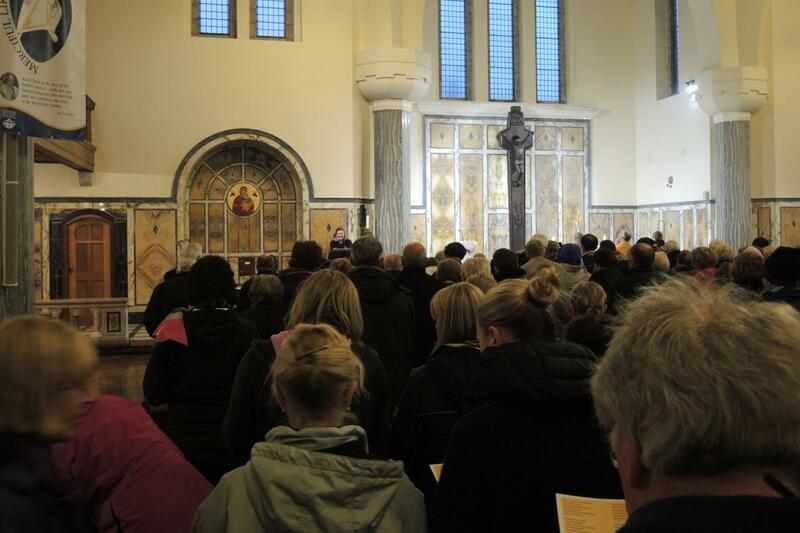 At a time when Mass attendance is sharply diminished in Ireland, and many Irish have come to regard that moral rigor as problematic or hypocritical, it bears exploring why Lough Derg continues draw significant numbers of retreatants — including many who otherwise do not engage with the Church — to its shores for a three-day retreat that draws entirely on traditional Catholic forms of devotion, and builds on a theological concept, purgatory, that is downplayed in contemporary Catholic theology. Ireland has moved from a situation of scarcity and deprivation that once could have served more as a more credible context for idealizing religious suffering, to an era of relative prosperity and consumerism, despite the pullback since the collapse of the Celtic tiger. Minimally, the changes to church and economy would seem to make it less likely that Lough Derg would find the cultural foothold. Lough Derg’s cultural role is certainly diminished today, but by no means lost, and has a powerful place in the imagination of the many retreatants who come here, often repeatedly. As legend has it, St. Patrick found a cave here that was the entrance to purgatory, a place that helped wavering believers see heaven and hell. The larger of the two Islands, Saints’ Island, was home to a monastery led by St. Davog (d. 516), one of the “apostles” of Ireland. The smaller island, Station Island, home of today’s pilgrimage, was the site of the cave, the “purgatory,” and a number of small beehive-shaped stone monks’ cells that are a locus of pilgrimage today. Augustinian monks took over in the early 12th century and promoted the cave as a site for pilgrimage. According to medieval accounts, pilgrims traveled to the cave from throughout Europe, and after 15 days’ prayer were locked in the cave for a 24-hour penitential vigil. The site was closed briefly during the Renaissance papacy, destroyed later by Protestant reformers, and severely suppressed during the penal times in the 17th and 18th centuries, but the pilgrimages seemed to take place almost continuously.2 After the penal times, a “prison church” which replicated the experience of being locked in the cave was built on the site of the cave. The number of pilgrims fluctuated significantly over the years, growing to 30,000 per year at its 20th-century peak.3 As late as 1979, the shrine was operating at full capacity, welcoming 500 pilgrims each day for retreats during the season. 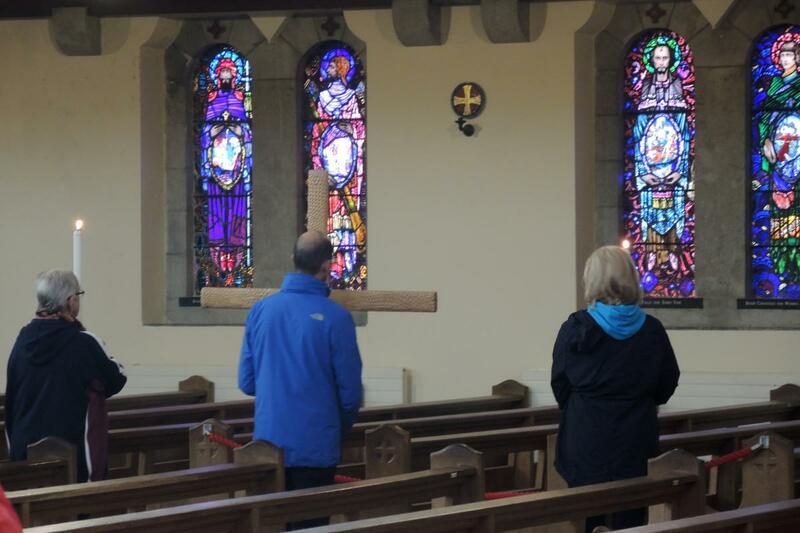 Though Lough Derg offers a variety of one-day options and several themed retreats, the experience most people know of is the three-day pilgrimage, a period of fasting, rote prayers and abstinence from sleep. Three-day retreats take place beginning any day from June 1–August 15, when the days are long and the weather relatively warm. The “three-day” retreat actually entails only 36-40 hours on the island, with pilgrims arriving by 3:30 p.m. on the day they choose to begin, and leaving the island by 9:30 a.m. a day and a half later. In one important sense, though, the retreat begins earlier and ends later. Pilgrims are expected to begin a complete fast at midnight before they arrive, and can only break the fast the midnight after their departure. During their time on Lough Derg, they may not bring food, drinks or candy, mobile phones or computers, cameras or musical instruments.4 They eat only one “Lough Derg meal” per day — black tea and dry toast or plain oatcakes — and can otherwise drink only water. They do not sleep from the time of their arrival on the island until 10 p.m. on the second day of their retreat, a period of at least 31 hours. 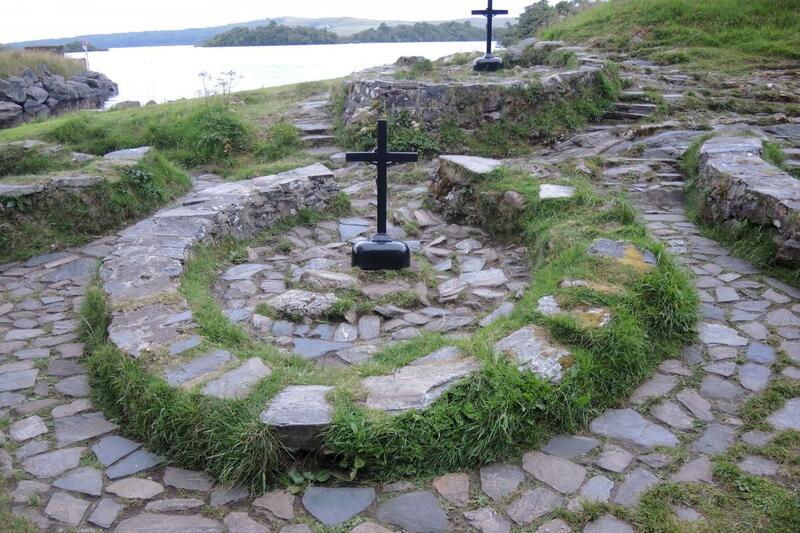 During the course of their stay, pilgrims complete nine “stations,” periods when they walk in circles silently along pre-defined paths in or around the church; in circles around the “penitential beds,” the foundations of circular monastic stone cells said to date from the 9th century; and at stone “kneelers” at the edge of the lake. During each station they repeatedly pray the Hail Mary, Our Father, and Apostles’ Creed, standing, kneeling, walking as they progress. 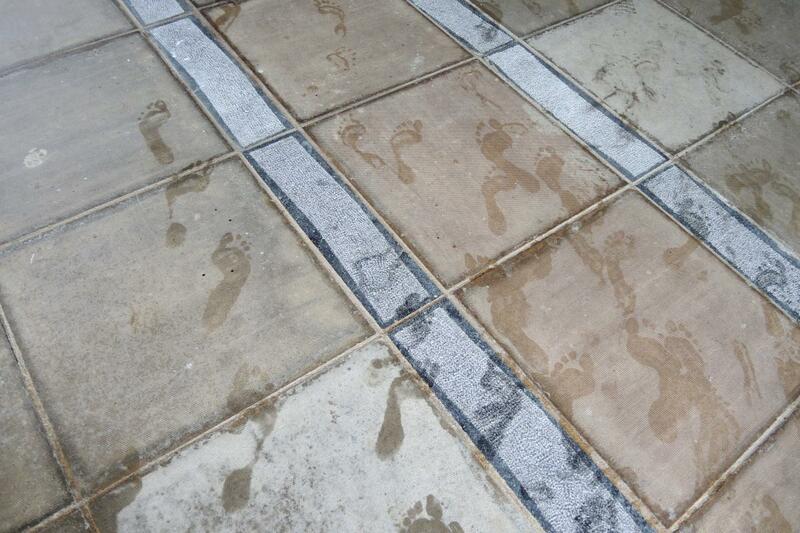 They walk barefoot on stone or pavement for the whole of the pilgrimage, in weather that is often cool and rainy even in the summer pilgrimage season, when temperatures generally drop to 50-55°f (10-13°c) at night, and seldom get above 68°c (20°c) during the day. 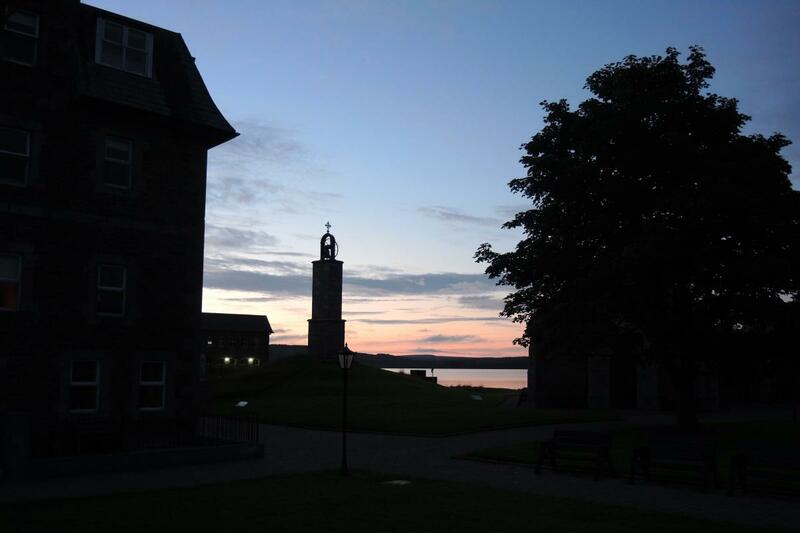 The first day includes three stations between the arrival on the island and the first evening’s night prayer and Benediction. A 24-hour vigil that starts after the Benediction includes a nighttime Rosary, then four stations during the night, then a 6:30 a.m. Mass, confessions at 8:30, another station, a noontime renewal of baptismal promises, a Way of the Cross at 3 p.m., evening Mass at 6:30, and a night prayer, Benediction and conclusion to the vigil at 10 p.m., when pilgrims go to their dormitories to sleep. On the morning of the third day, pilgrims are awakened at 6 a.m., there is Mass at 6:30, and pilgrims complete their ninth and final station before departing the island together midmorning. A station begins with a visit to the Blessed Sacrament. There is no prescribed prayer or length of time for this part of the prayer. The pilgrim moves to St. Patrick’s Cross, an ancient stone pillar with an iron cross on top, where he or she prays the Hail Mary and Our Father three times, and the Apostles’ Creed once, while kneeling in front of the cross. From there, the pilgrim walks to one side of the exterior of the basilica, and again prays the Hail Mary and Our Father three times along with an Apostles’ Creed while kneeling in front of St. Brigid’s cross, an old stone with a Greek Cross that has been incorporated into the side of the basilica like a cornerstone. Following that, the pilgrim stands with the cross to his or her back, arms stretched out as if on the Cross, and says “I renounce the world, the flesh, and the devil” three times. He or she then walks around the basilica, which is built over St. Patrick’s cave, and prays seven decades of the Rosary while walking around the church four times. 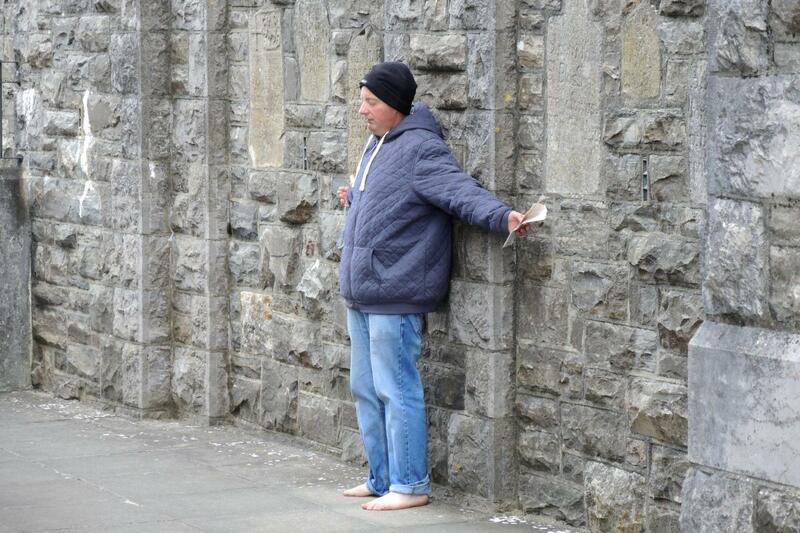 The pilgrim then moves on to the six penitential beds. In each of the six beds, he or she does the following: walk around the outside of the bed clockwise three times while praying the Hail Mary and Our Father three times, then the Apostles’ Creed; kneel on the jagged stones at the entrance to the bed and repeat those prayers; walk around the inside of the bed three times, repeating the same prayers; kneel on the jagged rocks on the inside of the beds and repeat the prayers again. The first cells are smaller and on more uneven ground. The last two are much larger, on level ground, and under the shade of a tree. Pilgrims then walk to the lakeside and pray the Hail Mary and Our Father five times, then an Apostles’ Creed while standing, then pray the Hail Mary and Our Father three times along with an Apostles’ Creed while kneeling on stone kneelers in front of the lake (one pilgrim reported that these kneelers feel miraculously comfortable compared to the stones inside of the penitential beds). The pilgrim then blesses himself or herself with water from the lake. The pilgrim returns to St. Patrick’s Cross and prays the Hail Mary and Our Father once along with an Apostles’ Creed while kneeling in front of the cross. The station finishes with praying Psalm 119 inside of the basilica for the intentions of the Pope, which are posted at the door. This whole cycle of stations is repeated nine times over the course of the weekend — at least four times on the rocks outside. At night, during the vigil, pilgrims have the option of repeating this cycle inside the basilica, given that the beds are not lit. Most choose this option. Outside prayers tend to be done at a quiet whisper, so that there is always a quiet murmur of prayers around the penitential beds. 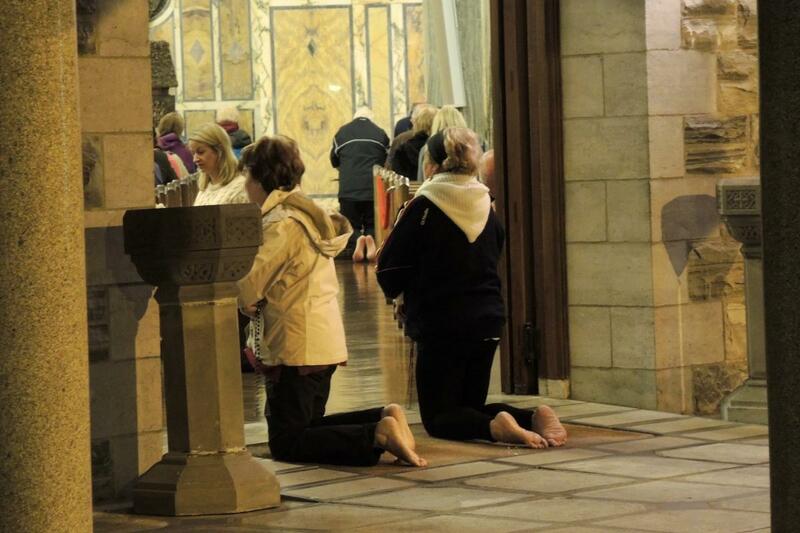 Inside the basilica at night, prayers are led aloud — and usually very quickly — by a lay leader. Whether inside or out, the experience is one of moving repeatedly in circles large or small, with a Cross at center, praying in a mantra-like fashion and, as many put it, stripping away so much in the process. 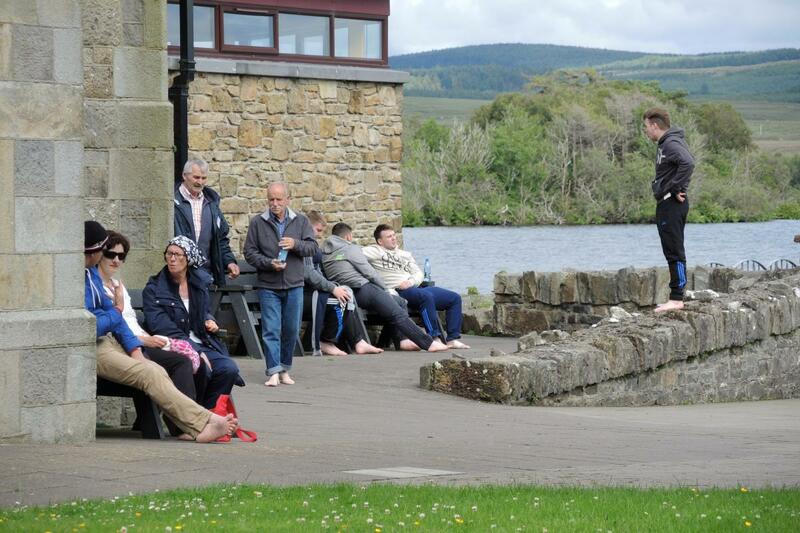 It must be said that as much as the practice at Lough Derg is about renunciation and deprivation, the preaching during the visit was particularly gentle and encouraging, a real counterpart to the harshness and strict rules of the prayer rituals. Preaching referenced the Prodigal Son, God’s mercy, and the ways that old notions of God as a harsh scorekeeper of sins get in the way of fully appreciating who God is. A priest there said that he saw that for many retreatants, “stripping back” from preoccupations was a necessary step in their lives, but that this could not mean turning only inward in a closed manner, or simply “mortification for the sake of mortification,” as it once was about. 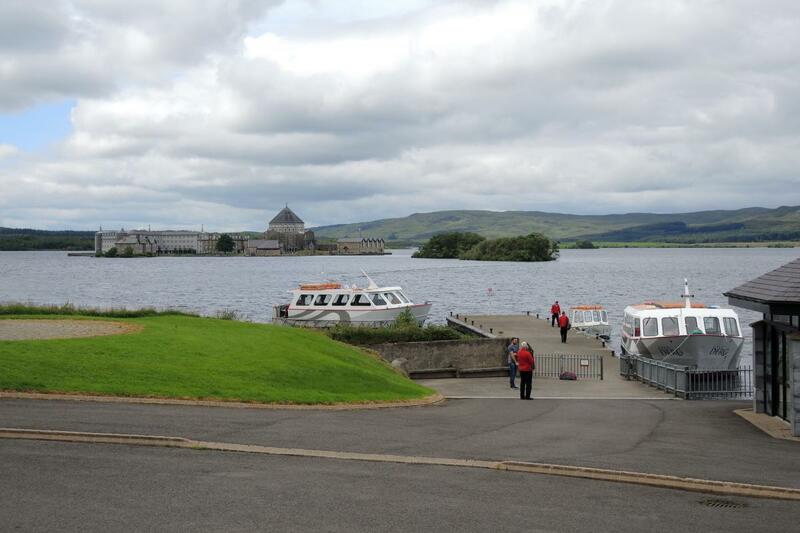 “There’s still something about that in the Irish psyche that has to be redeemed.” He saw Lough Derg as a way of helping people leave something behind in themselves, a fact that he saw powerfully and repeatedly manifest at the sacrament of reconciliation.5 Another diocesan priest working there for the week said that in his experience, the most powerful confessions he had heard by far in his priestly career were at Lough Derg. People came, he thought, with powerful things that they wanted to unburden themselves from, and were prepared to do so by the time that confessions came the morning of day two. Conversations in between the stations were open and warm and almost chit-chatty as people kept each other company and awake during the non-structured times of the vigil. There were even moments of levity during the structured prayer, such as when a prayer leader accidentally went off course leading the Rosary. The sanctuary and other buildings on the grounds, while deriving from an older aesthetic, have been updated with many contemporary architectural elements, notably in St. Mary’s chapel. Mercy and penance were side by side. 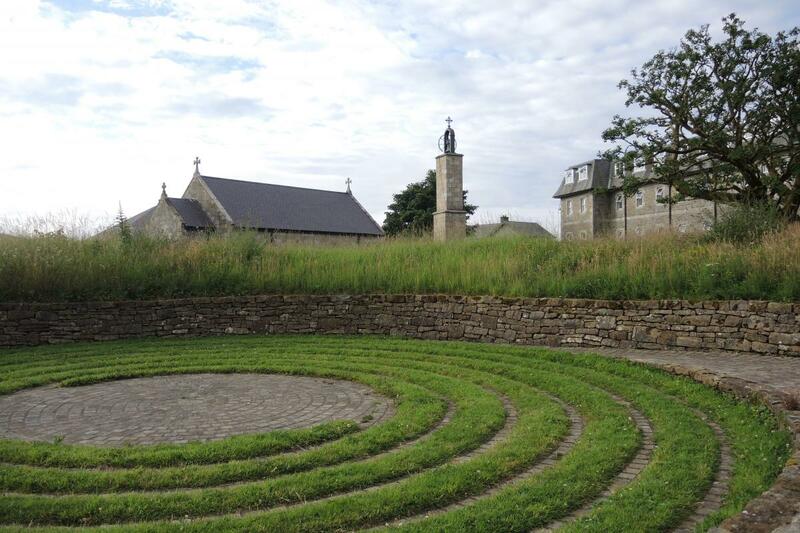 Pilgrims come for a wide variety of reasons, but follow the same routine throughout the three days.6 Given the rigor and order of the retreat, it is surprising that none of the 177 pilgrims who arrived on the same day in July 2016 seemed to deviate from the order of the retreat.7 Almost all of those pilgrims were from Ireland, and indeed, despite the increasingly multicultural character of Ireland in recent years, almost all were ethnically Irish. A remarkable number of pilgrims were returnees — one person claimed 80% of all retreatants are. In the group of 38 who finished the pilgrimage on the second day of this research, only three were there for the first time. Some retreatants had done it 30-40 times, and one man on site had done so more than 90 times by his own count, a few times every season. One pilgrim indicated that he subscribed to no foundational part of the Christian creed, which made some of the prayers quite problematic for him, yet he had no problem with other ritual aspects of the retreat, and was there to support his son, who had promised God he would go there when the life of his infant son (now healed) was in danger. 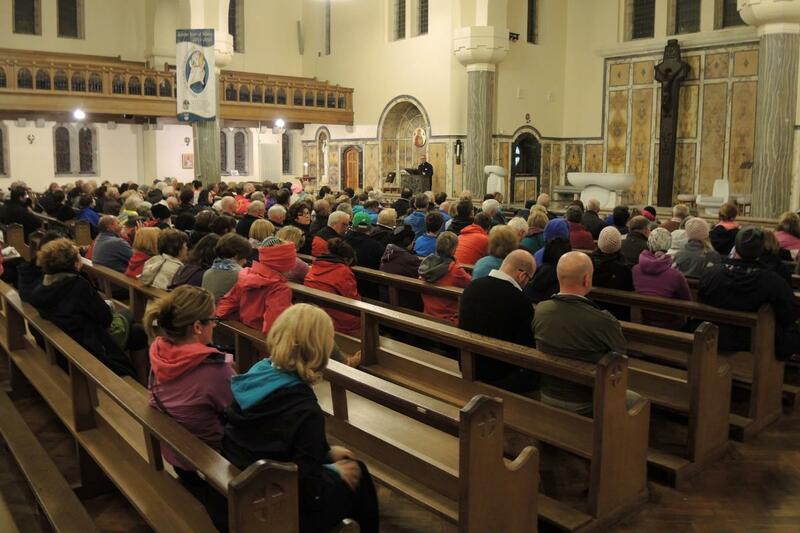 Other pilgrims said that they were also repeat pilgrims to Lourdes, Fatima and Medjugorje. One man in his early 40s, on his fourth visit, seemed frustrated with himself that he keeps coming back. “I honestly can’t explain why. I’m trying to figure it out myself. Each time I say, ‘never again.’ Then a few months later it all seems to make sense and I begin to feel that I should come again.” He described it as an experience that “really breaks you down… Eventually you feel reborn and start again anew. I had a friend who was actually here one morning at confession who kept telling a startled priest, ‘You’re not going to break me down. You’re not going to break me down.’” It is hard, he said, to invite anyone to do this. “If they don’t want to be here, they’ll only get angry at it.” He spoke of going through a whole range of emotions in a short period while there, and reported that the time on the island felt much longer than it was. In point of fact, though, most people said that they knew why they were there, having come with an intention — a prayer for others or themselves, often related to illness, or about something they wanted to change in themselves. But they recognized how difficult it can be to explain why they would come here, even given their intention. One young man, a Catholic schoolteacher, was there for the first time in support of his mother and her intention. None of his friends knew he was there. “They’d think I was daft,” he said. As is true at many Catholic shrines, the experience seldom translated well into words. Pilgrims spoke of it as something profound, if difficult, but then declined to put that further into words, as if doing so would diminish the experience, or wasn’t really possible. At most it was described as a stripping away or a breaking down. Pilgrims were quick to offer admiration toward people who had endured the retreat repeatedly over the years, as if their repetition and endurance described it most eloquently. Rather than serving as a solitary form of prayer and reflection, the experience seems to be deeply communal. 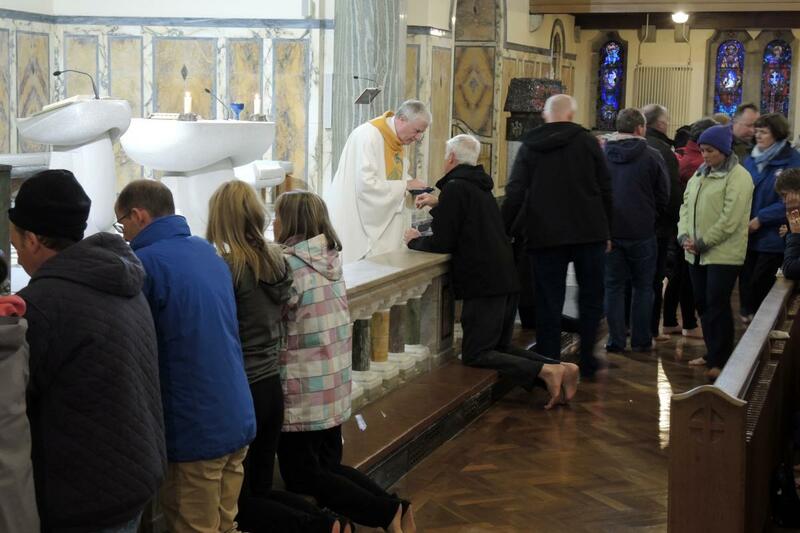 While the station prayers are silent, other forms of prayer like the Rosaries and the Mass are shared forms of prayer, and people are allowed to talk to each other in between these. Many interviewees commented that this was the best part of the experience — that they could come to know others well, and that people helped each other out. People talked easily with one another, and quickly invited each other into conversation. 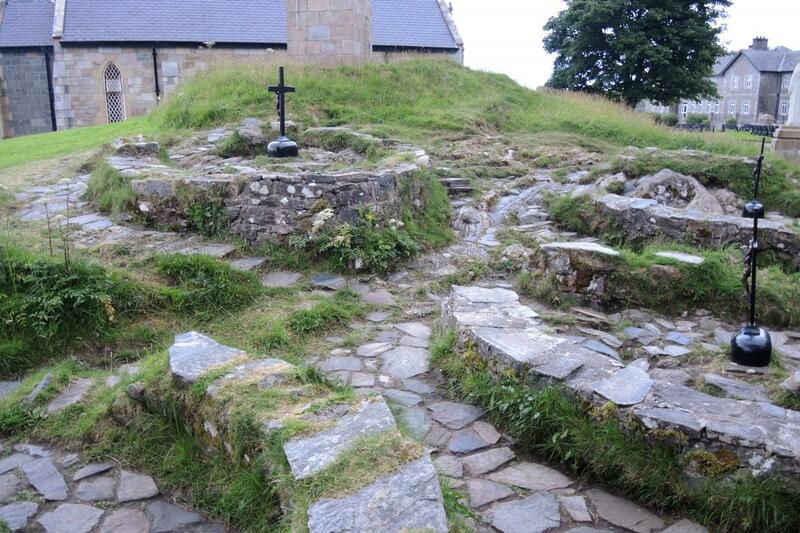 Away from Lough Derg, several people who knew of it suggested that the deep history of the place — its connection to St. Patrick and perhaps even to a more ancient Celtic religion — may play a significant role in drawing pilgrims there today. However, none of those interviewed at Lough Derg made connections to the saints who preceded them there, a finding that imitated what anthropologist Lawrence Taylor observed during his visits there in the 1970s and ’80s.8 Interviewees described the place as special, but not with particular reference to St. Patrick or its history. 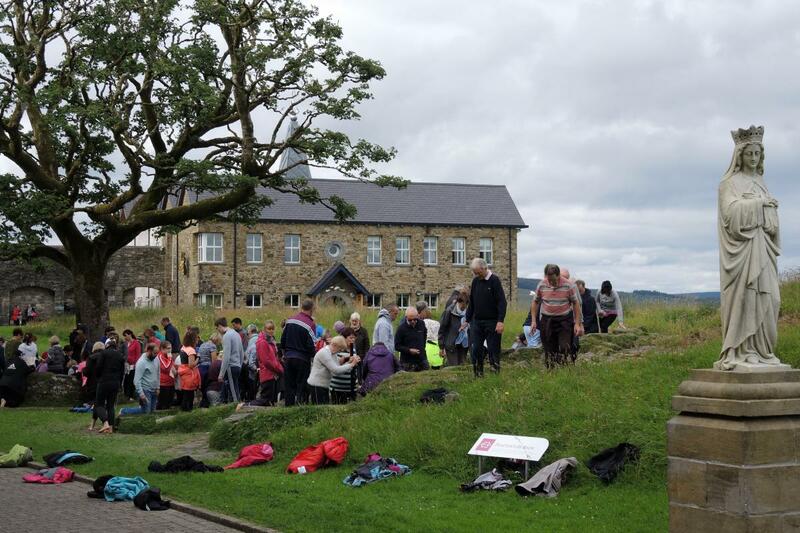 Often it was particularly special because it called to mind a parent or grandparent who valued the Lough Derg pilgrimage. Others described it as special because of its geographic remoteness in the lake and the degree to which they were cut off from cell phones and social media. As some pilgrims described it, the detachment from mobile phones and other technological links to the world was at least as significant an aspect of the pilgrimage as being barefoot or fasting. None of the interviewees glorified the suffering or self-denial that the experience entailed. Many, in fact, questioned while they were doing it what could possibly have drawn them to do it. E. Frances King, Material Religion and Popular Culture (New York: Routledge, 2010) 90-94. Victor Turner and Edith B. Turner, "St. Patrick's Purgatory: Religion and Nationalism in Archaic Pilgrimage" in Image and Pilgrimage in Christian Culture (New York: Columbia University Press, 1977), 104-139. 2. The medieval history of the site is detailed in Yolande de Pontfarcy and Michael J. Haren, eds., The Medieval Pilgrimage to St. Patrick's Purgatory Lough Derg and the European Tradition (Enniskillen, Clogher Historical Society, 1988). See also Michael Carroll, Irish Pilgrimage: Holy Wells and Popular Catholic Devotion (Baltimore: Johns Hopkins, 1999)81-104. 3. Fr. Eamonn Conway, Lough Derg: Island of Quiet Miracles (Lough Derg: 2016), 34. 4. 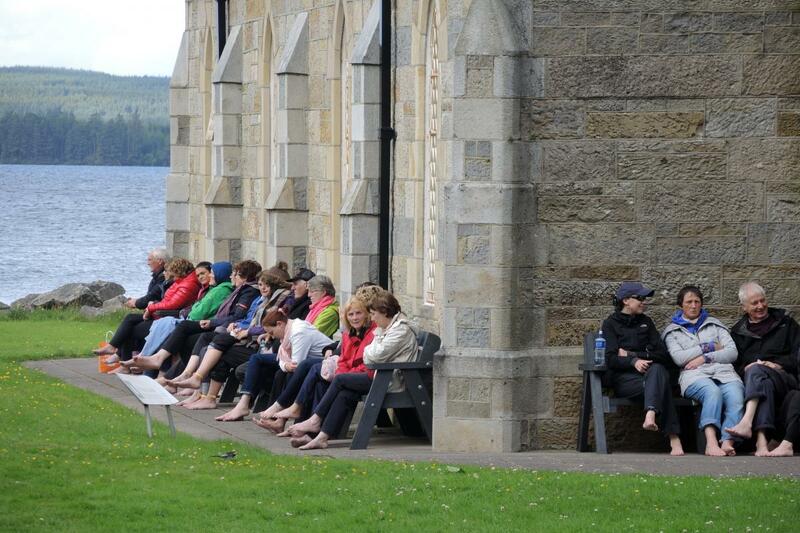 The staff at Lough Derg made special exception to allow for the photographs on the Catholics & Cultures website. Special thanks to Sharon Hearty and Fr. Owen McEneaney for their kind hospitality. 5. It also bears noting that during this research visit there were at least two professional counselors on staff to speak to pilgrims. 6. Lawrence Taylor makes the same observation in Occasions of Faith: An Anthropology of Irish Catholics (Philadelphia: University of Pennsylvania), 194. 7. July 22-24, 2016. Thomas M. Landy attended as an observer but not a retreatant, photographing and interviewing. Rev. Michael Rogers, S.J. and Rev. James Hayes, S.J., both of the College of the Holy Cross, were full participants in the retreat, and likewise had a chance to talk to fellow retreatants about the meaning of the experience. All retreatants were made aware of the connection of their visit to this research. 10. Victor Turner and Edith B. Turner, Image and Pilgrimage in Christian Culture (New York: Columbia University Press, 1977), 133.